Ok, I know you’re thinking that I’ve gone a little crazy. Quinoa and spinach? Quinoa and egg? Just quinoa with breakfast in general? I know, I know, just stay with me here. I really have no idea where this recipe came from. I’ve always been in the camp that quinoa has no place at breakfast. I don’t want quinoa porridge instead of oatmeal, and I’ve never been inclined to try a granola with quinoa in it. Sorry folks, but I have to admit that I am somewhat of a quinoa-at-breakfast convert now. Sort of. Now, I mean this recipe might not be your go-to at 7am for breakfast, fair enough, it’s not mine either. I prefer this for a lazy, weekend brunch type of deal. The good thing is, that it’s a lot healthier than other brunch options, but still has that satisfying element. When you think about it, this dish could work for any meal – a light lunch? Dinner? Seriously, quinoa, sauteed spinach and a soft boiled egg is pretty much suited for any time of the day. Add eggs, turn heat down to a rolling boil and cook for 5-7 minutes. Once done, remove to a bowl of cold water. Allow to cool before carefully removing the shells. Meanwhile, in a small pan heat olive oil over medium-low heat. Add garlic, saute for 1-2 minutes or until fragrant. Add spinach, saute for 2 minutes or until wilted. 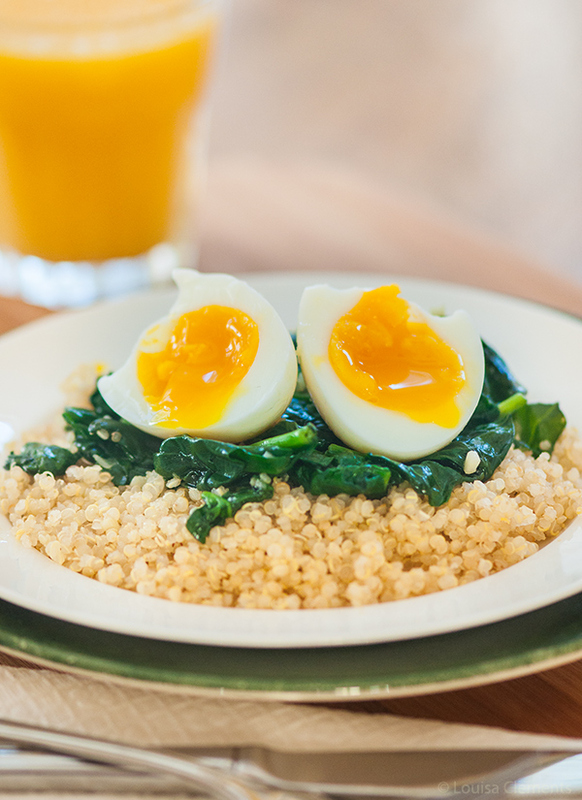 Place spinach over quinoa and serve with a soft boiled egg on top. This recipe for soft boiled egg over quinoa and spinach is the perfect alternative for a healthier start to your weekend because it’s packed with protein (from the egg and quinoa) and with the added fibre and vitamins from spinach. 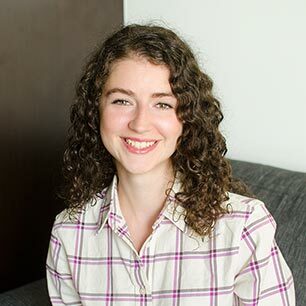 Hi Donna Leigh, I like to make a pot of quinoa to use throughout the week also! For this recipe, I use 3/4 cup of cooked quinoa per serving - let me know how it goes!